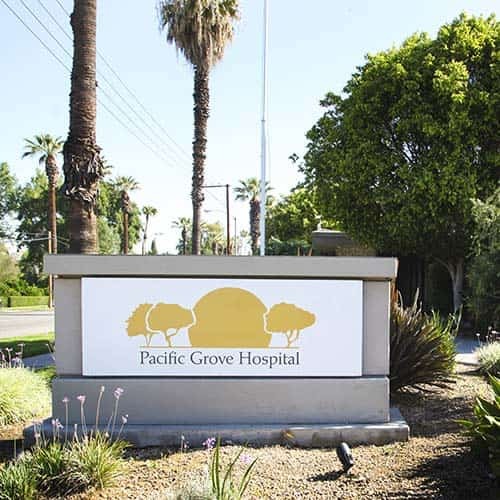 Pacific Grove Hospital is located in Riverside, California providing treatment for acute psychiatric, specialized geriatric psychiatric and chemical dependency treatment issues. Acute Psychiatric Treatment - Patients with serious conditions such as suicidal depression, bipolar disorder, and psychotic states are safely treated utilizing intensive group therapy, medication management and much more. Specialized Geriatric Psychiatric Treatment - Pre-evaluated geriatrics patients with serious conditions such as chemical dependency issues, depression, bipolar disorder, age related psycho-social stressors and various co-occurring health issues are safely treated in a warm and family friendly environment. Chemical Dependency Treatment - Patients are medically detoxed and receive treatment tailored specifically to their individual dependency issues. In addition, we offer an extended rehab option for patients to continue their treatment if they so choose. Partial Hospitalization Program - Patients are offered a partial hospitalization program individually customized; PHP (full day program) and IOP (Half Day Program). Both Pacific Grove Hospital's PHP and IOP programs offers daily support through intensive group therapy and individual sessions as the patient continues on their road to recovery regaining balance in their life.